Nice day at the pass, used skin wax in valley bottom, skied the South facing shoulder above Balu at 11 a.m. The 5-10cm of new snow was just starting to get moist and ski quality was creamy on the old surfaces. We then skinned up the ridge to Cheops N bowl. Ski crampons were required and even then it was challenging, without the new snow a slip and fall or slide could result in injury. On some areas going up the shoulder, there was no boot penetration of the crust otherwise we would have boot packed a section. On the ski descent we found cracking down 20-30cm in the lee of ridge top. We avoided steep wind loaded features. Ski quality was good in the upper bowl, we only felt the crust on the final pitch to the creek. 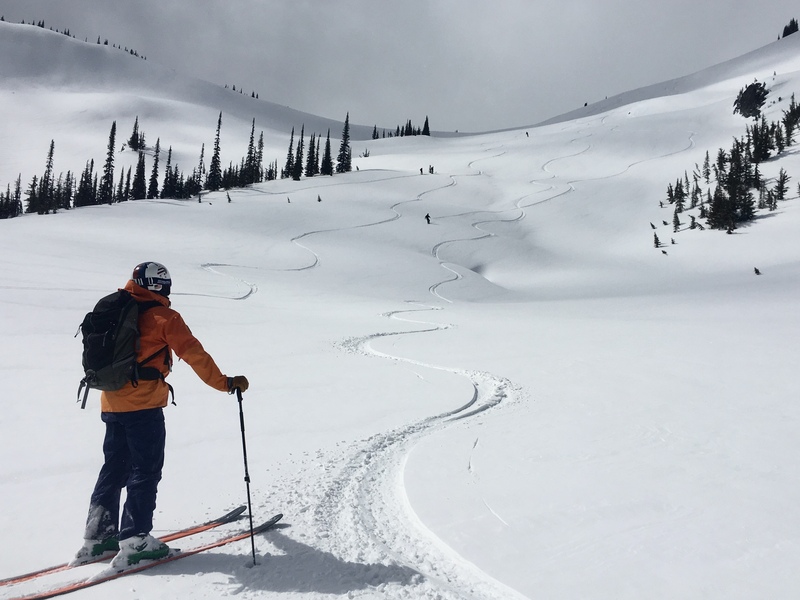 There were a few small size 1 skier triggered slabs out of steeper terrain features 10-20cm deep (STS and Nikis Notch) from today. Supportive travel out the valley bottom at 3pm.